Representative Brad Sherman (D-CA) introduced formal articles of impeachment, co-signed by Representative Al Green (D-TX), formally to begin impeachment proceedings against President Trump. Sherman stated the primary reason behind the impeachment efforts was obstruction of justice. Sherman stated the President had not acted with the best interest of his office, nor the American people, and accused the President of obstruction of justice during the investigation into the Russian interference of the 2016 election. He further stated that the termination of Director Comey (recommended by the DOJ) provided proof of the obstruction and cover-up. The article of impeachment are unlikely to succeed in the Republican controlled house. Sherman floated the idea last month and threatened to force a floor vote on the matter. 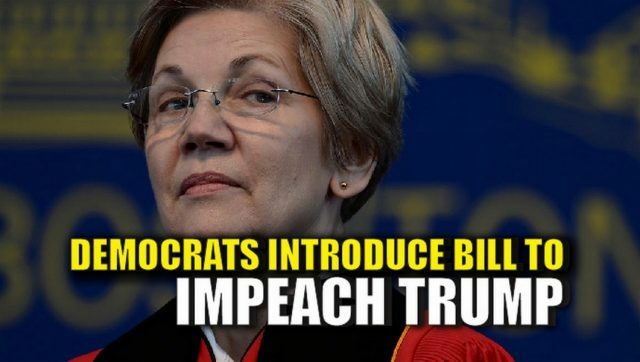 Rank and File democrats did not appear to be too eager in pushing for impeachment proceedings. Not all Democrats are in support of the effort. Click here to read, Rep Lieu’s statement previously. Rep. Steny Hoyer (D-Md. ), the minority whip, also took issue with Sherman’s tactics on Tuesday after the meeting. “We believe strongly that a discussion about impeachment is not timely,” he said.